You may sell specialty, but it's important to watch the mass-market to keep abreast of new trends and get tipped off early if your own best-sellers are "crossing over", like the popular Spot It!. TDmonthly Magazine will be updating our list of mass-market top-sellers weekly to make this job easier for you. Spice up family game night with the Hedbanz Board Game, a fun, fast-paced, and simple question game that everyone aged 6 and up can enjoy. 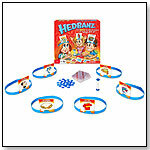 In a group of two to six players, players draw an identity card for an animal, food, or common object but with one catch--everyone else will see the card, displayed by the headband on each player's forehead. The goal is for each player to deduce who or what they are by asking the other players questions before the clock runs out. — As of 11/30/2012 this product had 4.5 out of 5 stars from 208 reviews on Amazon.com. Angry Birds Knock on Wood Board Game by MATTEL INC.
One player draws a construction card and builds the structure shown. Next, an opponent loads an Angry Bird onto the launcher and catapults the bird to knock down structures and pigs. The player with the most points and knockdowns wins. Features three Angry Birds, four green pigs, one slingshot-style launcher, structure pieces and multiple mission cards. For one or more players. Launch date: May 2011. — As of 12/17/2012 this product had 3.9 out of 5 stars from 252 reviews on Amazon.com. Pros: Great alternative to the app for parents who want to reduce kids' screen time; fun for the family to play together; helps kids develop dexterity and patience. Cons: Certain structures are too elaborate to build and don't seem to be grouped in the correct level of difficulty; kids with short attention spans may lose interest in building the structures; structures are easy to knock down, which can be frustrating for younger players. Requiring no reading from its players, Qwirkle is a simple-to-learn but stimulating game based around matching the attributes of the game play tiles. Players build rows and columns by placing tiles adjacent to tiles they share an attribute with (shape or color), and score bonus points if they can think ahead and put a tile down touching multiple other tiles. While the game is easy to understand, a good eye and quick thinking make Qwirkle challenging enough for a wide range of ages to play together. Awards: 2011 Speiele des Jahres (German game of the year). ― “We sell a lot of Qwirkle,” Sue Banducci said of popular games in her Danville, Calif., store, Games Unlimited. 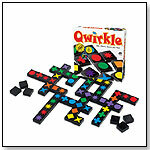 “Qwirkle was best-selling over Christmas,” said Shirley Reilly, owner of Let's Play in Hillsboro, Ore., in January 2009. — Four of 44 specialty retailers named Qwirkle as a best seller in late fall 2009. Ages & Stages Toy Box in Golden, Colo., sells about 10 Qwirkle games per month, Manager Holly Anvers told TDmonthly. — As of 12/17/2012 this product had 4.8 out of 5 stars from 483 reviews on Amazon.com and was No. 6 on the top 100 bestselling toys and games. Pros: Exciting; intellectually stimulating, easy to learn. Cons: Some said it took too long to play; only had 3 reviews less than 3 stars, however. Syma - 3 Channel Electric Helicopter RTF w/ Auto Stabilizing Gyro + Metal Frames + Cool Strobing Head Lights by TOY WONDERS INC.
S032 Syma - 3 Channel Electric Helicopter RTF w/ Auto Stabilizing Gyro + Metal Frames + Cool Strobing Head Lights. 11.5" long helicopter comes with battery, charger and transmitter. 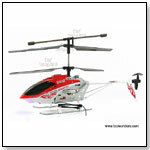 The Syma S032 RC helicopter can go forward, backward, left, and right. This S032 even equipped with bright strobing LED head lights, so you can enjoy flying in the dark. The unique co-axial rotors counter-rotate for unprecedented stability. Light and safe, this helicopter will transform any indoor environment into a cool chopper fly zone. Get about 12 minutes flight time per charge. S032 is in RED & WHITE 2-tone colors. — As of 12/17/2012 this product had 4.1 out of 5 stars from 899 reviews on Amazon.com. This Lego starter kit lets younger children build a house, car, dog, helicopter and more. The set features 405 pieces stored in a durable plastic box with a see-through top. 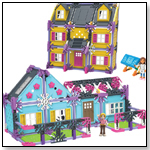 Included are minifigure, a building plate and a wide mix of standard bricks in various colors, as well as house and wheel elements. — As of 12/17/2012 this product had 4.6 out of 5 stars from 293 reviews on Amazon.com and was No. 19 on the top 100 bestselling toys and games. Pros: 405 pieces and one figurine included; packaged in durable storage container. Cons: Younger children may need help with construction; pieces do not fill up bucket all the way. Angry Birds is the #1 app worldwide and has been downloaded over 100 million times. 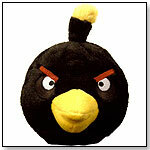 Angry Birds plush bring the characters kids love onscreen into their arms. 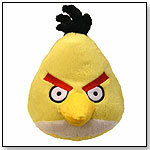 Incredibly soft and with the authentic sounds from the game, a must for every Angry Birds fan. Officially licensed product. Squeeze the top to hear authentic sounds from the game. Incredibly soft plush. — As of 12/17/2012 this product had 4.4 out of 5 stars from 41 reviews on Amazon.com. — As of 12/17/2012 this product had 4.9 out of 5 stars from 477 reviews on Amazon.com and was No. 16 on the top 100 bestselling toys and games. PROS: Fun and educational, lots of possible circuits. CONS: Kit doesn't always explain how the circuits work. — In a late Summer 2012 survey, four out of 12 retailers told TDmonthly that Snap Circuits were one of their best selling Science & Nature toys. This product is for children ages six months and up. With a barnyard of friends to cheer baby on, little ones will love learning to walk with the Sit-to-Stand Walker. Start out with the easy-to-remove play panel for floor play or fun on the run. Then step it up with the fun-to-maneuver walker. There are three spinning flowers, five piano keys, colorful rollers, three light-up shape sorters and a telephone handset. 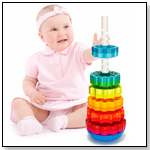 The Sit-to-Stand Learning Walker keeps baby on track by teaching shapes, colors, animals, music and more. Requires 3 "AA" batteries, included. Measures 5.8"L x 20.9"W x 15"D.
— As of 12/17/2012 this product had 4.3 out of stars from 472 reviews on Amazon.com. Cons: Wheels don't have enough traction; too "loud and obnoxious;" too expensive. — As of 12/17/2012 this product had 4.3 out of 5 stars from 44 reviews on Amazon.com. Perplexus Original by PATCH PRODUCTS INC. The first member of the Perplexus family, this see-through sphere houses a 3-D labyrinth game with 100 barriers, turns, twists and cliffhangers that serve as obstacles to getting a small steel ball to the end. Invented in 1970 by Michael McGinnis, a design teacher, Perplexus helps develop motor and dexterity skills, along with hand-eye coordination. ― As of 12/17/2012 this product had 4.4 out of 5 stars from 393 reviews on Amazon.com and was No. 12 on the top 100 bestselling toys and games. — At Izilla Toys in Seattle, "Perplexus is selling really, really well for us," Co-owner Jude Larene told TDmonthly in late fall 2009. 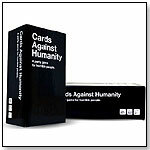 — In summer 2010 this game was a top-10 best seller at Dancing Bear Toys in Asheville and Hendersonville, N.C.. These walkie-talkies with cool LEGO styling stay connected up to a mile away. They are easy to use - one channel, simple push-to-talk-button and volume control. — As of 10/26/2011 this product had 3.9 out of 5 stars from 37 reviews on Amazon.com. Pros: Easy to use; fun design. Cons: Batteries run out quickly. Disney's Jake and The Never Land Pirates - Jake, Hook and Croc Pirate Pack by FISHER-PRICE INC.
JAKE AND THE NEVER LAND PIRATES characters come to life in these Action Adventure Pirate Packs. The characters are in cool action poses and are ready for an island adventure. One pack includes Jake and his Telescope, Izzy and her Pixie Dust pouch, and Cubby and his Treasure Map. 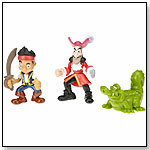 The second pack includes Jake and his sword, Captain Hook and Tick Tock Croc. When kids stomp on the launch pad, a blast of air propels the Stomp Rocket over 100 feet into the air. This kit comes with four glow-in-the-dark foam rockets. — As of 12/17/2012 this product had 4.6 out of 5 stars from 291 reviews on Amazon.com. PROS: Simple to use, no assembly, rockets fly high, and foam construction of rockets doesn't damage people or property. CONS: Could use a sturdier base and wingnut/screw connection. 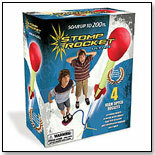 — In an August 2010 TDmonthly survey of 43 retailers, three cited Stomp Rockets as an overall top seller. — Stephanie Dupuy of Playville in Covington, La., told TDmonthly in a November 2011 survey that their best selling flying toy is Stomp Rocket. They sell between 12 and 18 each month, depending on the weather. — As of 12/17/2012 this product had 4.8 out of 5 stars from 463 reviews on Amazon.com. Snap Circuits make learning electronics easy and fun. Kids follow the colorful pictures in the manual to build exciting projects, such as FM radios, burglar alarms, doorbells and more. Parts are mounted on plastic modules and snap together with ease. “Children can play with this kit for hours and hours and still have not completed all the projects the snap circuit kits have to offer,” Walter Larsen, national sales manager for Elenco, told TDmonthly. — One retailer said in summer 2007 his store sells 25 Elenco units monthly. Five percent of 64 retailers said in August 2008 that Snap Circuits are a best-selling science product, reporting average sales of six units per month. Four of 38 retailers echoed the same a year later. “They’ve gone back to this game six or seven times,” between January and July 2006, said TDmonthly's homeschooling mom Susan Ledford. — Any time TDmonthly asks specialty storeowners about top-selling science toys, Elenco's Snap Circuits heads the list. This simple electronics kit appeals to both girls and boys. By making science fun and easy, Snap Circuits earned a TDmonthly Classic Toy 2007 award. — As of 12/17/2012 this product had 4.8 out of 5 stars from 575 reviews on Amazon.com. Cons: One user said that her grandchildren were "not all that interested" in the Snap Circuits, and told her that they would prefer LEGOs on their birthday.